In India, start-ups are blooming in various fields ranging from education, IT, real-estate, e-commerce etc. 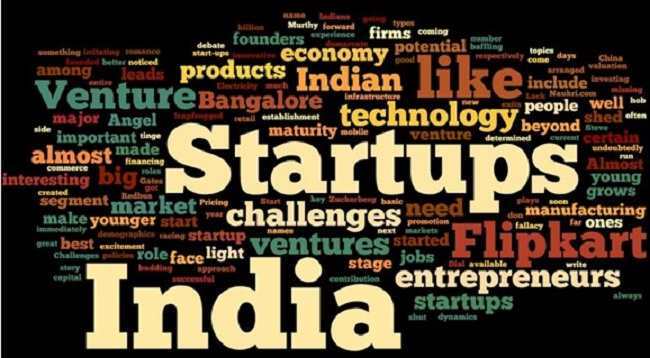 Various initiatives have been taken by government to promote start-ups. Some initiatives like ‘Start-up India’, ‘Make in India’ and ‘Mudra Bank’ have helped the start-ups in terms of tax exemption, capitalization etc. But the problem has not been solved at the grass roots level. The issue of execution still remains an issue in the country. It is the need of the hour to understand the root cause of the challenges faced by the newcomers. When a new entrant enters a market, it faces a whole bunch of competitors who already have established themselves and gained credibility in terms of attracting customers and adding talents to their work pool. Since the old runners have already proved their mettle and created a brand name, it becomes difficult for the start-ups to attract the customers in the same market, which leads to two challenges for them. One, the employee in the start-up needs to slog to develop quality products, and resources do not prefer less paying and high demanding jobs. Two, since it is difficult for the start-ups to attract customers and bag the projects they earn less revenues which leads to less salaries for the employees and makes employee retention difficult . So gaining credibility and sustainability becomes their nearest milestone. However credibility and sustainability depends a lot on the work force in the start-ups as their work fetches the brownie point which adds to the brand value of the company. Since employee retention and resource crunch are big issues in a start-up, it becomes crucial for the bosses to work as a one man army. Not only the bosses need to be adaptable, risk-takers and hard-workers but also need to develop an organization which has a better work culture. Many venture capitalists have been actively funding the e-commerce companies in the recent time, which led to extremely high valuation of the companies like flipkart. Excessive funding lead to the bubble formation in e-commerce space. Moreover this capital was being used by the e-commerce firms to provide discounts to the buyers and commissions to the sellers, which lead to less profit generation. Here, a point needs to be noted that not all ventures need this much funding and businesses do not necessarily need capital to establish themselves. Let’s take an example of an IT start-up. An IT start-up develops software on demand, provides services and earns revenues. The basic needs of such a start-up are a computer resource and a human resource, which means that if you are an IT professional, you are a start-up by yourself. You can raise your own funds by developing small projects on open resource soft-wares which are free of cost and sell them and the funds in turn can be invested again in the expansion of the firm. Though the funds raised would not be sufficient it can certainly help jumpstart your business. This is a perfect solution in short term if you have less capital to spend on human resource and infrastructure. Flipkart has tried very well to become an ecommerce giant in India, it has grown to follow the market place model where it acts as an entity that helps buyers and sellers interact. Market place model has made a win-win situation for both the merchants and buyers, as the merchants have got more visibility in the market, buyers have saved their time, efforts and money by purchasing products online. Flipkart has been focusing a lot on customer delight. It has also started to use its backend data for personalised offerings, in which they use analytics to understand the user behaviour and needs, thus offering them a class of related products, which not only helps them sell more products but also helps retain customers. Their supply chain is robust enough to deliver the products way before the said delivery date and customers have various options to pay either by cash on delivery or direct payment by net banking, debit card and credit cards. To serve its customers effectively it has customer grievance redressal system which has been ignored by the competitors thus has made it a superpower in e-commerce industry. Flipkart has also felt the fear of cannibalization due to its heavy reliance on smart-phone sales, which allowed its competitors to zoom in other domains; its less market share in apparel made it acquire ‘Myntra’, which was a great step to bring sustainability with profits. But its decision to go app-only and to offer discount-driven sales led to a flop show. Typically firms go app-only when they are aware that most of their internet traffic comes from mobile, and when the focus is more on customers in tier II and tier III cities. But this leads to ignorance of importance of google and loss on significant number of deals through searches, moreover ‘Myntra’ is a transaction platform as opposed to facebook and google, which necessitates its customer to have good internet connectivity, which is not as expected in tier II and tier III cities. The shift from desktop site to mobile- site was abrupt and did not give time for customers to get used to it. All this has made flipkart think on its business model and restructure it as there is a huge competitor pressure. It is evident by flipkart’s abrupt shift to mobile-site that it takes bold business decisions, which turn out profitable many times. As in case with its use of business analysis and association rules to offer its customer a set of products that are purchased together, this not only helps it sell more products but also improves customer retention. However it is high time that it spends some quality time in enhancing the customer base. Word-of-mouth is the best way of advertising for such a firm as it incurs no cost and customers are engaged more in advertising. To achieve this flipkart can give itself a social networking touch, a site where people not only come to buy products but also share their reviews about the products they are buying to their friends by sharing the pictures, prices of the products and other related details, currently this purpose is served by publishing reviews which are not as effective. This kind of facility will increase the traffic to the site and will make it a self-advertising platform. Customer’s will be more interested in spending time on the site thus understanding consumer behaviour would be more easy. The more the understanding of the customer needs a company has, the more it can attract new customers and retain old customers. Richa is a first year, 2016-18 batch, PGDM student at IIM Ranchi. She is a start up enthusiast and her interest lies in analytics and finance. She likes to read everything about what is going on in the world and she loves to debate on various topics.